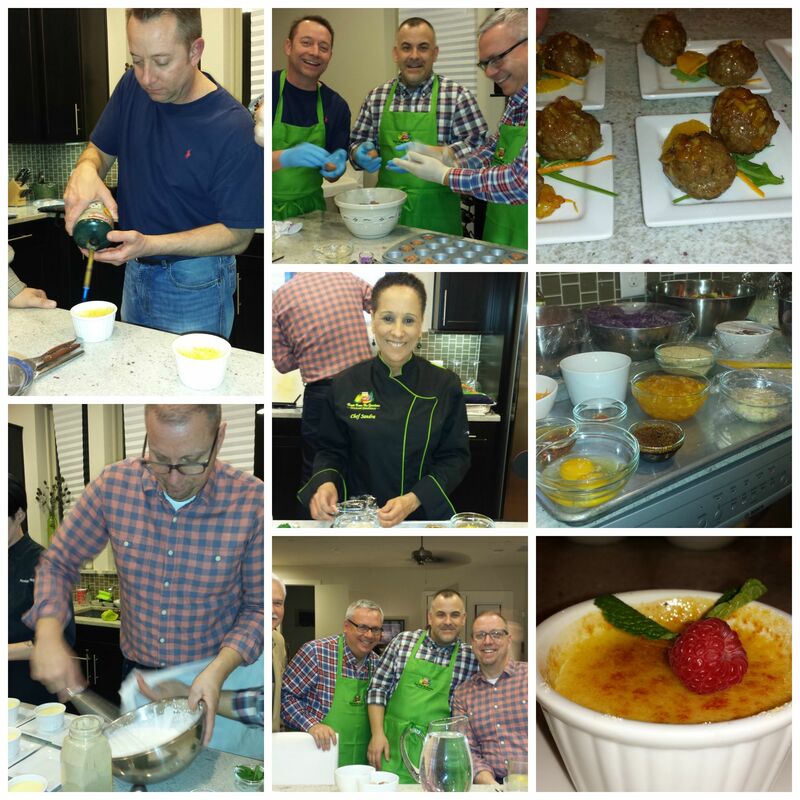 Wow your guests with a Cooking Demonstration Class! Why have a boring party when you can invite your friends, family, co-workers or small group over for a great night in with Chef Sandra? Give your friends a reason to talk about your party for years to come. Chef Sandra offers fun in-home cooking demonstration classes for groups of 10-20 people. Enjoy the beverage of your choice while watching Chef Sandra demonstrate an appetizer, entree, and dessert. Your guests will enjoy samplings of all three courses. Expect the unexpected! Chef Sandra might prepare dishes focused on a specific cuisine, or you can use your imagination and Chef Sandra’s skills and experience to design your own personal culinary experience. Not only will you be having a lot of fun while these dishes are being prepared, you will also learn a thing or two about food safety, food prep and Chef Sandra will share cooking tips. Reserve your class early as spaces fill quickly. Contact Chef Sandra now to hold the date for your class.